Why Do Traffic Tickets Have Surcharges? Receiving a traffic ticket can be incredibly stressful. Seeing a surcharge on your ticket can make things even worse. Having to pay a traffic ticket is already frustrating. A surcharge will require you to pay even more. Why do tickets have surcharges? Keep reading if you want to learn more about surcharges and why they exist. States, cities, and counties all need to bring in revenue. However, people usually respond negatively to an increase in taxes. That’s why officials often use traffic tickets to bring in the revenue that they need. People are issued traffic tickets all the time. If a surcharge is added to the ticket, more revenue will be brought in. Are you shocked by the high surcharge on your ticket? Surcharges aren’t always small; they can be quite high. In some cases, the surcharge may actually be greater than the cost of the ticket. It’s typically to see surcharges of about $50 per ticket, in New York about $88. A surcharge like this can double the cost of a ticket. A lot of people assume that the surcharge on their ticket is because of your behavior. However, these charges can appear on any traffic ticket. Surcharges are about your location, not about the way you behaved. If an officer doesn’t like your tone of voice, they’re not going to add a surcharge to your ticket. Surcharges are about increasing revenue; they aren’t about punishing you for your behavior. It’s not unusual to see a surcharge on a traffic ticket. These charges appear on traffic tickets in many areas. Now that you know more about surcharges, you’ll be fully prepared. 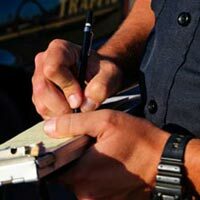 Whether you’re going to fight your traffic ticket or pay it in full, you know what to expect. What Are Inheritance Taxes All About? What’s Wage And Hour Law?